So you now may be wondering, what is Trend Snag anyway? Well, I'm glad you asked (or didn't ask). It's a Facebook-based auctioneer of pretty awesome jewelry. How does it work? 1. Just “Like” the Trend Snag Facebook page and register. Then you look out for jewelry & accessories on the Facebook page Monday and Thursday evenings at 8pm. Photos of the items are posted with price and description. 2. As auction items are posted, comment “snag” on items you will like to own. You have to be quick as quantity is always limited and first ‘snaggers’ win. 3. Pay your invoice and receive your ‘snagged’ items in the mail. They JUST launched and in celebration they are also giving away a personalized monogrammed necklace every day for 30 days! Cray. 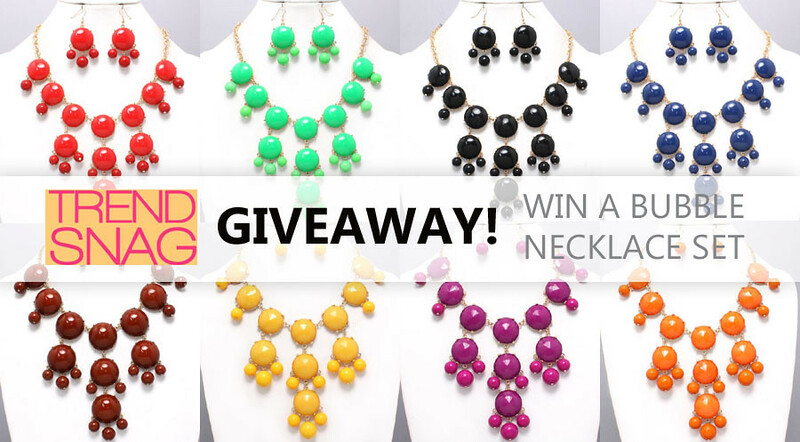 If you want to win a bubble necklace set (yes SET people, you get the earrings too - hooray!) like the one I'm seen wearing here and here in the color of your choice just enter below. Only two requirements! Easy peasy lemon squeezy. I love the black one- it will go with anything! would love to add another bubble necklace to my collection. the black one would be my choice -- perfect to wear to work! I can't pick a favorite color! I like the burgundy, green and blue! I'm lusting over the mint! Gotta have it! 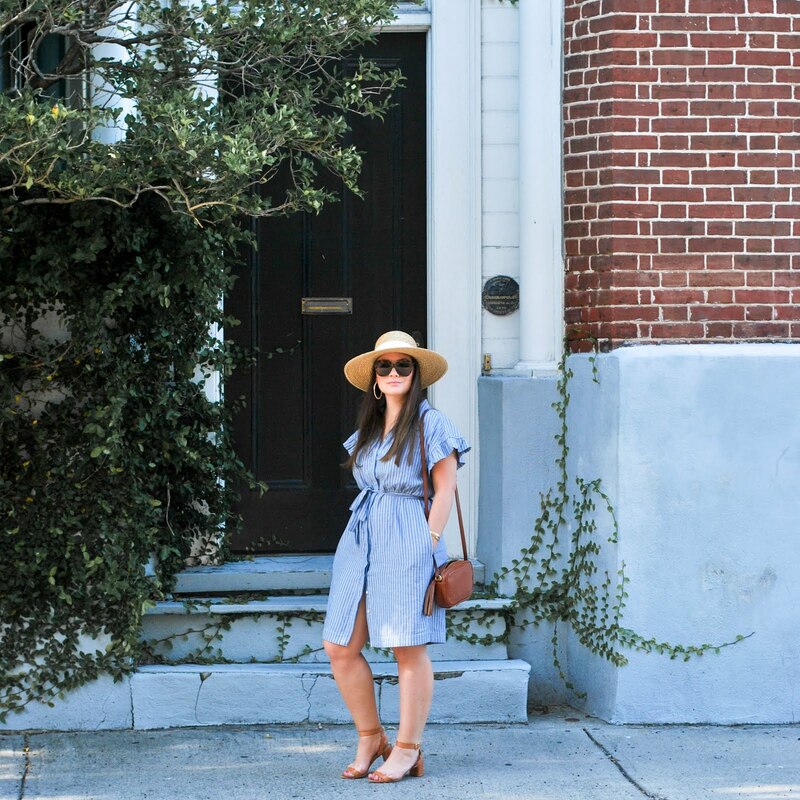 Looks like a great giveaway ERin.....thanks for the shoutout in my blog!!! The black would be great. My favorite is the red necklace! i entered this, lovely giveaway! if i won, i think i'd pick the yellow or the green one!